HomeIs the iPhone X Really That Secure? The iPhone X was released at the 2017 Apple Keynote event, possibly planned as a ‘tenth anniversary’ add-on to the debuts of the iPhone 8 and 8 Plus. Unlike these incremental updates, the X included a range of firsts for the mobile devices released by the Cupertino hardware giants, including an OLED panel, a (somewhat) edge-to-edge display, three-gigabyte RAM solution… and the first phone without a home button. Yes, Apple has followed through on leaks and rumours revolving around their new model’s lack of a front-facing button that reads fingerprints for device unlocking. However, this latest industrial design gamble has been received with lukewarm coverage at best, similar to their decision to ditch the headphone jack back in 2016. Many tech journalists have voiced their doubts about the phone’s revolutionised appearance and functions. There are also doubts about the iPhone X’s security features and how they are implemented: is facial recognition-based authentication really that much safer? In a first for Apple Smartphones, the iPhone X has a display that takes up over 80% of the phone’s front-facing surface. However, this coverage is interrupted at the top of the phone by a long central bar containing the screen’s sensors, as well as a front-facing camera with expanded capabilities. This renders the X somewhat reminiscent of the Essential phone, whose display has a small insert for the front-facing camera in the same location, but is otherwise immersive. In the case of the iPhone, however, the secondary camera is equipped with the ability to read and record multitudes of facial data points. Therefore, the ‘selfie’ camera on the iPhone X also acts as a facial recognition module that can be used to unlock the phone, as a home button with a fingerprint scanner would respond to the touch of a recorded digit. iOS’s Facial Recognition: How Does It Work? Unfortunately, we of the online world can only report and discuss so much concerning Apple’s new facial recognition and unlocking software, as these features are closed-source, and, consequently, unknown to most of us. However, we do know that Apple claims the odds of facial-unlocking failure are something like one in a million. In addition, it’s clear that the front-facing camera can gather discrete spatial points, known as dots, in their tens of thousands. This is necessary to construct the 3D impressions of a user’s face that the iPhone X’s recognition method is associated with. Therefore, the company touts their new device-securing adaptation as the most advanced smartphone security you can buy. However, some experts in this field dispute these assertions. Dr. Stefanos Zafeiriou from the Department of Computing at Imperial College London thinks you shouldn’t commit your data to an iPhone with its facial-recognition unlocking options on. He acknowledges that we can’t know for sure how well the algorithms baked into the X’s software work; however, he does assert that even the highest end of facial recognition products in 2017 are subject to errors resulting in faulty identifications and flawed detection. Software in use by bodies such as law enforcement technology has led to false positives and even wrongful arrests in the past. On the other hand, the 3D nature of the X’s facial processing should negate the possibility of a device being hacked by either photographic representations of a recognised owner or that it unlocks for an unauthorised individual. It’s the risk of a device failing to recognise a genuine recorded face which may actually be more of an issue. There is little real-world data on the efficacy of the new iPhone’s facial recognition modality, leading to fears that a phone may not unlock if the user is affected by different conditions of lighting and camera angles than those in which they recorded their face to secure the device. The risk of an iPhone X’s failing to unlock in response to a previously recorded face appeared to have been illustrated in Apple’s very Keynote presentation; a device being showcased by Craig Federighi, a senior vice president at the company, remained locked when he held it up to his face. However, subsequent reports assert that this was due to the way the phone was handled by staff immediately prior to this demonstration. Some sources claim that the X’s front-facing camera was searching the faces of these people for ‘familiar’ features and defaulted to passcode-based unlocking after two failed attempts at this, as stipulated in the device settings. Assuming this is true, the phone did in fact operate flawlessly – and Federighi did unlock a second device with his face in any case. However, this may do little to allay the worries of some consumers. The increasingly pervasive use of facial recognition software brings up a variety of issues, particularly those of a privacy- or surveillance-based nature. On the other hand, the algorithms of facial recognition can be put to valuable and laudable uses; an example is the continuing development of artificial facial aging, which targets the areas of the face typically affected by the passage of time to generate reliable projections of how people, particularly the subjects of missing persons cases, would look at different and advancing ages. 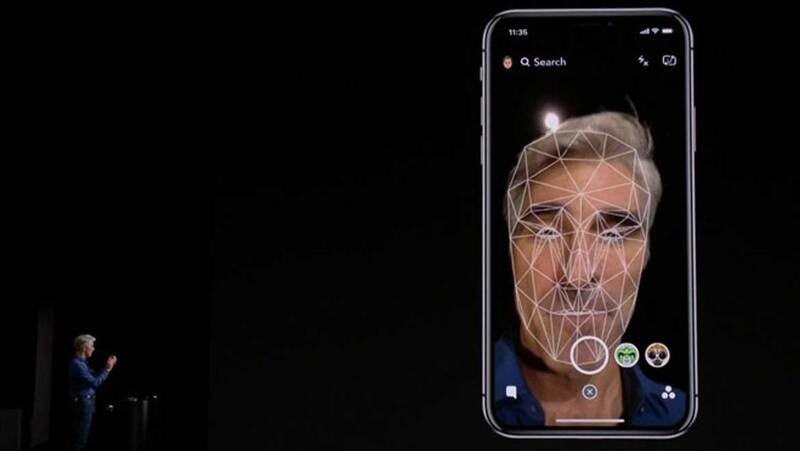 The newest iPhone variant may represent the increasing use of facial image data collection and exploitation by corporate interests. Apple claim that a user’s facial data will be embedded on each individual device, never to be uploaded to more central clouds or servers; but this may change one day. There are also legitimate concerns that authorities will find it much easier to compel the owner of a face-locked device to open it compared to those using other locking mechanisms such as fingerprint scanning. The iPhone X may also be targeted by cybercriminals who may find workarounds or brute force attacks that hack its facial unlocking software. The iPhone X is Apple’s latest attempt to bring an unheard-of level of functionality to its customers. However, on this occasion, these people may be less than overwhelmed by the possibilities implied by its foray into the arena of facial recognition-based authentication.